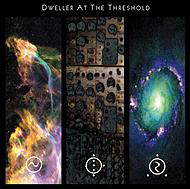 The recorded works of Dweller At the Threshold contain a variety of sonic seasonings that echo the likes of TD, perhaps Klaus or perhaps Steve Roach at times. They feature powerful sequential bursts, combining with experimental soundscapes to form a shifting tapestry of synthetics. 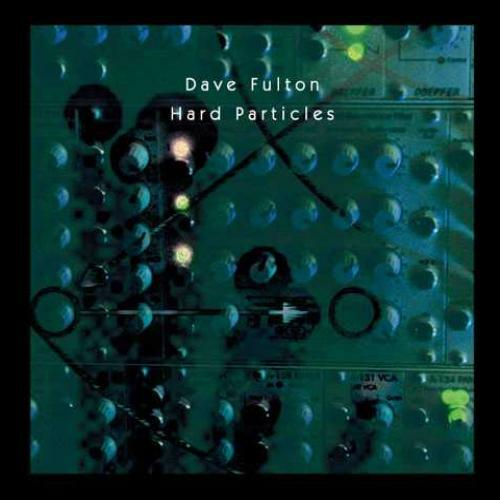 HARD PARTICLES is a stunning excursion into the realm of Neu-ambient space music fusing dark, undulating tone clusters with dense, warm melodies that swirl in and out of the supersonic mix. The resulting synthetic mélange is spiced up by spatial effects, which serve as a conceptual bridge between pieces, thus tying the albums whole into one surreal, cerebral experience extraordinaire. The long awaited follow up by DAT to their debut album NO BOUNDARY CONDITION expands even further their progressive electronic music formulation. GENERATION-TRANSMISSION-ILLUMINATION consists of the three extended title tracks, which flow together effortlessly to create an electronic montage, a surreal sonic landscape of pulsing sequencer, dramatic themes and dark tone colors. Echoes of Tangerine Dream lie buried in the mix, but the music of DAT forges a new more modern fusion of classic analog vibrations spliced together with ambient age synthetic sound that transcends the origins from which it comes. Download samples of Dweller at the Threshold music in CD-quality MP3 format! You must have an MP3 player installed on your computer to play these files. eurock.com suggests WinAmp, or MacAmp. Dweller At the Threshold uses the synthesizer as a creative tool which offers a wide palette of contrasting textures that can be animated by hands on manipulation. The music on NO BOUNDARY CONDITION explores the sonic realms pioneered by Tangerine Dream in their middle period works such as RICOCHET and STRATOSFEAR. DAT recreates the classic analog sound and combines it with modern digital equipment to achieve a new synthesis -- German space music, processed through American musical alchemy. Hear a DAT sound clip in RealAudio format! "…a solid CD from beginning to end, without a single song that is either dreary or drab." The package explores a variety of aural vistas with exotic tones, and for those who seek a truly stimulating sonic trek this adventure simply can't be beat." "High tech quantum science is the theme, translated into pure tonalities that drift into slow burn, sending the listener tumbling through various stellar photospheres." "This is one of the most enjoyable electronic albums I've heard in years…." Extensive sequenced patterns create a rhythmic bed over which various lead synths go whizzing by your head and off into space. If you've heard a better space music album this year I want to know about it!" "D.A.T. 's music moves the listener through portals, each revealing a new 'scene' with its own unique cast of characters, almost as if it were a soundtrack to a night of dark and restless dreaming. Their arsenal consists of both analog and digital equipment, from which they produce some wildly original sounds and textures. ….this is definitely one of the better purely electronic releases I've heard in some time…." "If you are a fan of Tangerine Dream, then you will really enjoy this disc." "Bell-like tones, sequencer patterns, and mini-moog effects all blend and shine through the basic pulsating tracks, elevating this music to an inventive level that allows for something new to emerge. This is upbeat electronic music, not particularly meditative, yet hypnotic and compelling in its free-flowing way." "This band comprises three synth/keyboard virtuosos who seem seriously intent on capturing the fancies of fellow electronic aficionados. On most counts they're likely to succeed." "…a fascinating CD that I can recommend to any experienced fan of electronic music from the German school". eurock copyright © 1973 by Archie Patterson. All rights reserved.